Embrace Pet Insurance Agency LLC is a pet insurance provider based in Cleveland Ohio that sells pet insurance policies for dogs and cats. Founded in 2003, they are underwritten by American Modern Home Insurance Company. Embrace has an A+ rating with the BBB, consistently positive online reviews, and is known for broad coverage and quick payouts. Embrace has a very strong customer satisfaction rating. While their plans tend to be a little more expensive than most, they do cover many conditions and treatments not offered at all by most plans. This includes behavioral therapy and prosthetics. They also offer alternative therapy at an extra cost. They don’t have unlimited coverage like some of the other providers (up to $15,000), but do offer a range of annual deductible options from as low as $100 up to $1,000. What better way to know if an insurance company performs than from its customers. Embrace gets has one of the most consistent high ranking from their customers. Very happy pet parents! Embrace offers a standard plan that covers the typical accident and illness conditions. It also covers treatments that most insurers don’t, including alternative treatments, behavioral therapy, and prosthetics. Every Embrace accident and illness policy comes with the same coverage and you can personalize it to fit your budget and your needs. You can control the annual maximum, deducible and reimbursement. What’s nice is that each pet on your policy can have a different maximum, deductible, and rate of reimbursement. For instance, if you have a young, healthy dog and an indoor cat then you could adjust policy details for each pet to get just the right amount of protection. Embrace offers a Wellness Rewards account that acts a lot like a flexible spending account. It can give you up to $650 a year in cash rewards that can be used on dental cleanings, nail trimmings, flea prevention, spaying or neutering, and routine visits to the vet. Embrace also offer three options for Wellness Rewards reimbursement, you can choose the perfect amount for each pet, each year. $250 allowance per policy year up to $650 allowance per policy year. What also makes Embrace unique is that alternative and holistic veterinarians are included in your accident and illness policy at no extra charge! This includes chiropractic care, homeopathy, holistic therapy, hydrotherapy, reiki and more! The lowest limit is $5000, while the highest is $15,000. This refers to the maximum they will pay for all incidents and procedures for the entire year. If your pet requires multiple, serious procedures, or cutting edge treatment, this might be limiting for you dog or cat. Healthy Paws is one of the few that we reviewed that has an unlimited benefit schedule. Embrace offers a wide range of annual deductible options — $100, $200, $300, $500, $750, and $1,000 – give customers even more flexibility in designing a policy that fits their budget. Policy holders also save with Embrace’s Healthy Pet Deductible program, which decreases the deductible by $50 every year that you don’t submit a claim! This can really help especially if you have a younger dog or cat. PetFirst offers this as well! Healthy Pet Deductible applies only to accident and illness claims. Wellness Rewards claims for routine care are handled separately. As with most policies, the higher the deductible, the lower the monthly premium. Embrace’s policies are among the most customizable to fit your budget. Embrace will cover anywhere from 65% to 90% of your actual vet bill. Choosing a lower reimbursement percentage will lower your monthly premiums. Figo is the only provider we know of that offers a 100 % reimbursement rate. If you choose a Wellness program with Embrace, they offer three options: $250, 450 or up to $650 allowance per policy year. Younger pets (puppies and kittens) require more vet visits their first year, so $650 is a good option for them and older pet might need the middle or $450 option. It’s a nice addition to have that flexibility in a Wellness program. Embrace’s premiums are a little pricier than average, however you do get broader coverage with the standard plan. And because of the wider range of options available, the policy is more customizable, enabling you to keep premiums as low as you need. A 5% discount is available to those with spayed or neutered pets, for those with multiple pets, for those making annual payments, and for members of the military and paying through your bank account instead or credit card. To make a claim, you can just fill out a claim form that you can download the form on the website or have it mailed to you. The form must be filled out by a veterinary staff member. Include all relevant invoices and receipts and fax or email them all to the company. Embrace offers direct deposit to get you the reimbursement as quick as possible. Embrace has some of the best feedback for their customer service. The majority of online reviews are very positive. A lot of customers rave about how quickly get they reimbursed for a claim! Claim forms can also be uploaded through MyEmbrace, their online customer account. You can also call them or of have the form faxed to your vet. You can check the status of your claim in your MyEmbrace account. Wellness claims usually take 5 business days to process following the receipt of all of the necessary information. Illness and accident claims usually take 10-15 business days to process following the receipt of all of the necessary information. If you haven’t yet provided your pet’s health history to Embrace, they will then need the records from any visit to the vet one year prior to signing up with Embrace through the pet’s waiting period. 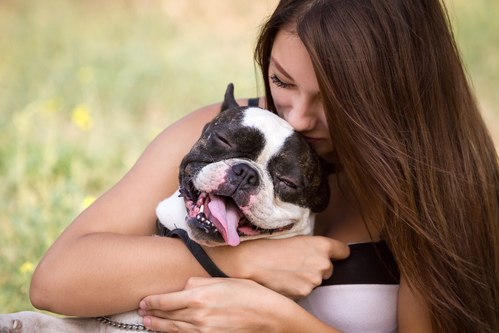 Embrace Pet Insurance offers unlimited access to this complimentary service called WhiskerDocs. WhiskerDocs is their 24/7 pet help line providing instant, real-time access to veterinary experts. PetsBest has a similar 24/7 help-line which is always nice to have! WhiskerDocs helps pet parents with questions about their pet’s behavioral changes, possible poisoning, signs of an emergency, and more. WhiskerDocs pet experts offer guidance on when, where, and how to use healthcare resources appropriately (but will not diagnose your pet). It’s a nice addition to have if your pet has an after-hours emergency. Embrace’s waiting periods are pretty much standard when compared to other companies. For accidents and illnesses the waiting period is 14 days. However, in some states the waiting period for accidents is only 48 hours, or two days. You can enroll your pet as young as 6 weeks old and 14 years old is the maximum enrollment age. Embrace also offer a 30-day “free look” period which means that if you change your mind after enrolling, you can get a full refund. This helps if you are not sure if your dog or cat’s illness is a pre-existing condition and have time to confirm. Similar to other pet insurance providers, Embrace requires that your insured dog or cat be seen by your veterinarian annually to make sure they stay healthy. And probably a very good idea anyway! Embrace will automatically renew your policy unless you notify them via e-mail or phone that you wish to make changes or cancel your policy. If you need to change or modify your plan, just email or call them 2 to 4 weeks prior to the renewal date. Embrace donates $2 to an animal related charity with every new pet policy, $10 to Woodward Animal Center for every pet that passes and also have a Foster Cat Program to provide temporary housing for cats and kittens in partnership with local rescues and shelters! Make sure to go to their site, Embrace Pet Insurance and get a quote to see if they are the right pet insurance company for you. You can also call them at: (855) 898-8991. Have all your questions prepared and make sure to ask them about their Wellness program to. It’s a nice addition when purchasing a pet insurance policy. I’m interested in purchasing pet insurance for my dogs.